The following actions were taken on bills in the Senate Labor Committee meeting that was held on Monday, March 5, 2018. S-104 : Concerns equal pay for women and employment discrimination. Passed 5-0. Referred to Senate Budget Committee. Sponsor suggested that amendments regarding the look back period of the recovery of back pay and public contractor reporting requirements would be made. 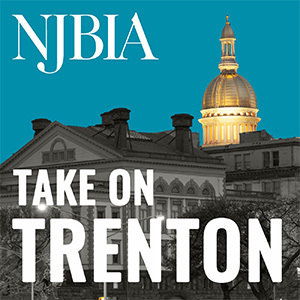 NJBIA submitted the following coalition position statement. S-121: Bars provisions in employment contracts that waive rights or remedies; bars agreements that conceal details relating to discrimination claims. NJBIA opposed provision in bill attempting to target arbitration agreements in employment contracts by prohibiting waivers of “procedural” rights. S-345: Requires construction companies post notifications of employee rights. S-347: Concerns outreach and training for minorities and women in the construction industry. S-545: Prohibits employers from obtaining, requiring, or discriminating on the basis of credit reports. NJBIA opposed and were seeking amendments to provide more flexibility regarding the ability for employers to use credit checks and also requested the removal of a provision granting an additional right of employees to file a lawsuit. S-559: Concerns employer inquiries about worker’s wage and salary experience. S-937: Establishes New Jersey Commission on Construction Industry Independent Contractor Reform. S-393 / S-973: Establishes Talent Network Program in DOLWD. S-2137: Workplace Democracy Enhancement Act.